Ever imagine Amazon to operate a store on eBay? How weird would that be? Well it’s actually happening in China. 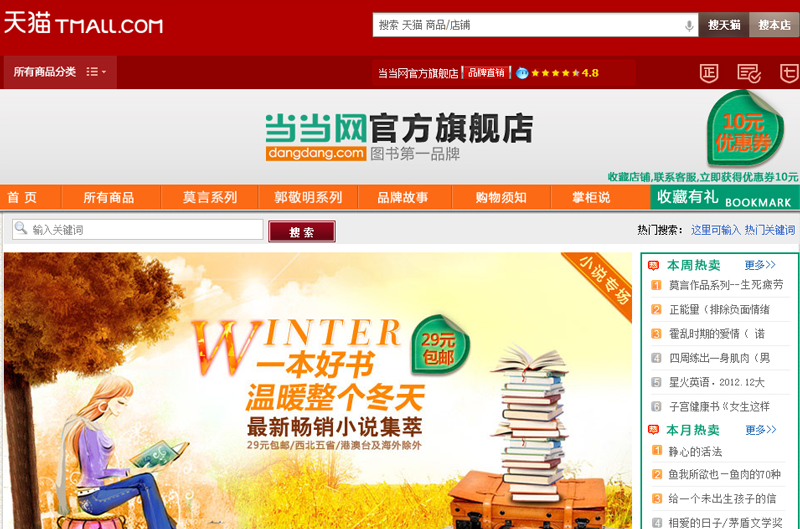 Dangdang, which is hailed as the Chinese Amazon and has its own open platform for 3rd party online merchants, announced to operate virtual stores on TMall, the B2C platform of Taobao, which was inspired by eBay. Dangdang offered customers with over 800,000 kinds of books and more than 300,000 types of household items via these stores. Li Guoqing, DangDang’s CEO apparently did the math, saying that it’s much cheaper and more efficient to acquire customers and gain market share by operating stores on TMall given soaring advertising cost. He also said that the winter of Chinese B2C sector is drawing near, and cooperation might be an effective strategy to weather the downturn.